As we already mentioned, a few days ago we've been interviewed by Laura from The Old Now. 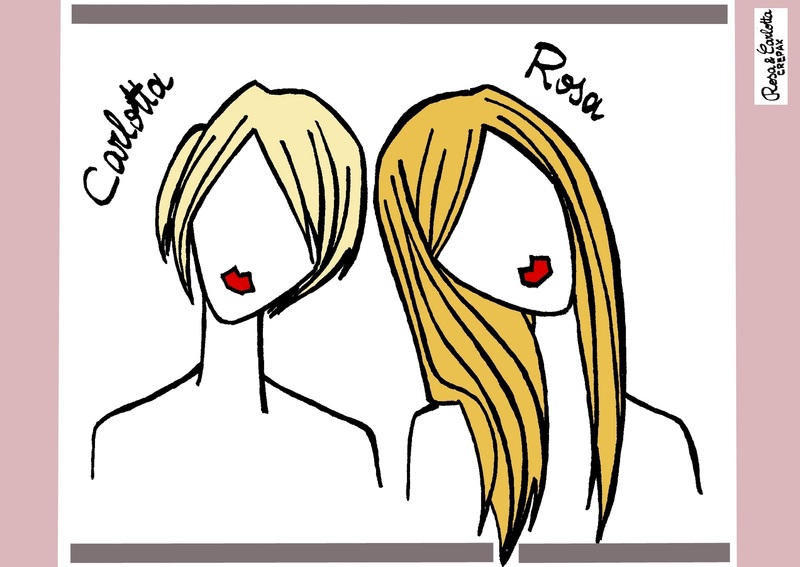 Here you can read her questions and our answers about being a blogger and finding inspiration for our illustrations. Come abbiamo già menzionato, qualche giorno fa siamo state intervistate da Laura di The Old Now. Qui potere leggere le sue domande e le nostre risposte riguardo l'essere blogger e le nostre fonti d'ispirazione per le illustrazioni. 1. Who are you, what is your blog's name, and why did you call it that way? 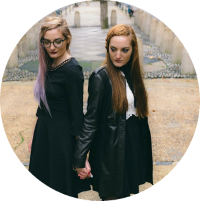 We're Rosa and Carlotta, twin sisters from Milan, living in London. We are freelance illustrators and fashion is one of our biggest passions and sources of inspiration. We called our blog Illustrated-Moodboard because we want it to be a visual means of communicating our style and attitudes to life. 2. What is most peculiar about your posts? Definitely our drawings, which show one of our passions in every post. 3. Where do you get ideas for your posts? 4. What is your greatest strength as bloggers? 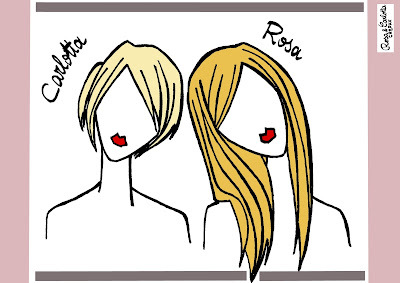 What distinguishes our blog from the other fashion blogs is the fact that each of our posts is exclusive and only ours. While, for example, other fashion bloggers can have the same bags or the same shoes, the interpretations that we draw of them are unique! 5. What do you hate about other bloggers? Although fashion blogs are an endless source of inspiration and motivation, we think that the success of too many blogs now derives more from an incitement to idolization and a voyeuristic curiosity in the readers rather than from the actual fashion skills or passion of the bloggers. 6. Which one do you think is your best illustration? Why? Since we get attached to all our drawings while working on them, it's very difficult to say which one of our illustration is the best or which one is our favourite. We chose this image of Kate Moss, because despite its simplicity, we think that it has a particularly beautiful soul. 7. Are you inspired by other illustrators/artists? We draw inspiration from everything around us, people, places, the weather and of course culture in any form. Every work of art we have encountered has inspired us in some way: the ones we hated and the ones we loved. 8. 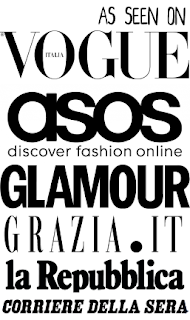 What does fashion and the fashion blogging phenomenon mean to you? We think of fashion as a form of art and of designers as artists and that's what we love about fashion. However fashion can be a bit too elitist and undemocratic and we think that blogs written by people who don't work in the industry but are truly passionate about fashion(and there are some really good ones out there) are very effective in making fashion more accessible and open to diverse perspectives. 9. What are your dreams for the future? 10. Why did you accept to participate to this interview? Because we're always enthusiastic about our work and love to share our thoughts on what we like. Traiamo ispirazione da tutto ciò che ci circonda, persone, luoghi, il tempo atmosferico e, ovviamente, da ogni forma di cultura. Ogni opera d'arte che abbiamo visto ci ha ispirato in qualche modo: quelle che abbiamo amato e quelle che abbiamo odiato. Pensiamo alla moda come arte e agli stilisti come ad artisti e questo è quello che amiamo della moda. Però la moda può essere anche un po' troppo elitaria e antidemocratica e pensiamo che i blog scritti da persone che non lavorano nell'industria, ma hanno una vera passione per la moda (e ce ne sono di molto belli!) siano un modo molto efficace di rendere la moda più accessibile e aperta a prospettive diverse. Great interview. but you said something about to many bloggers. I know on one hand it's true, on the other hand, you are also bloggers haha. But I think only the true fashion lovers will grow that big! And you guys will also find your way cause you are amazing! Nice interview! Very interesting to read more about you both. And cool illustrations! got here from the link you left on danny roberts blog. Love your illustrations! What a lovely opportunity!! I actually just posted a very similar post. Come check it out. thank you for the lovely comment, and hope you stop by again. Bellissime illustrazioni e l'intervista è molto carina. Prendere ispirazioni dalle persone, dai luoghi è ciò che rende un'immagine ancora più veritiera. i love the image of kate moss! E' sempre un piacere leggere le vostre interviste (e i commenti che ci lasciate). Bellissimo blog, ora siete nella mia lista! Un bacione e non vedo l'ora di vedere altri vostri disegni! sono davvero contenta del risultato dell'intervista! I'm really happy with the outcome of the interview!